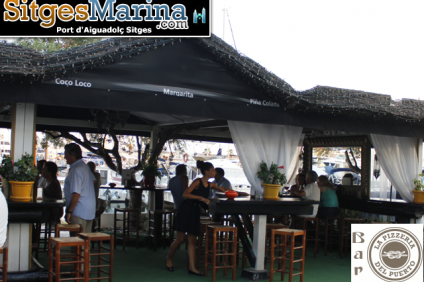 A classy, colourful and often popular bar, attracting a trendy clientel of various ages. Our Philosoph: To be the best lounge atmosphere of Sitges. Outside on the terrace opposite the boats and Marina, or inside, in the comfortable lounge. Surrounded by yachts and sailboats. A single framework in the Mediterranean. This is a great event for multi-environment room. Our decor FENG SUI, a natural rock walls with the latest trends in decoration achieving a unique and elegant. 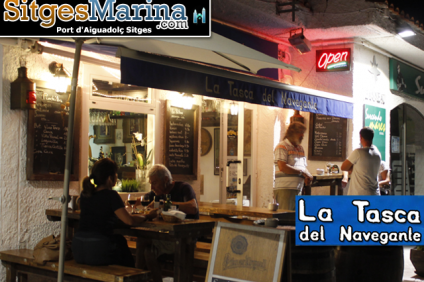 Offers a meeting point in Sitges for leisure & business, with an upmarket feel. To celebrate: conventions, anniversaries, weddings, private parties, cocktail parties, product launches, press conferences, …..
We can accommodate groups large and we can provide additional services such as catering, corporate decor, entertainment, show, coach, hostesses… everything you need to make your event a success. We have a spectacular terrace lounge which has a capacity of 100 seats for VIPs and areas that can be booked. Acer Iberian Lundbeck Spain, Sa Cuatrecases Lawyers, Novartis Pharmaceutical Srl, Sa Port D’aiguadolç Gran Hotel Melia Barcelona Serunion Cititravel Sitges, Sa. C.s.i. International Service Center P & M Promotions & Marketing Toshiba Computer Sistems Freshfields Bruckhaus Deringer Sgo Spain Travel Wake Hotel Liberty International Wyeth Pharma Sl Spain Spain & Incoming Incentives Sl Q-med Spain, Sl Roche Pharma Group Danone Spain Gaes Allianz Insurance Group Tutor Sanofi-aventis.